Every year, the arid west coast of South Africa’s Western Cape Province is transformed into a spectacle of beauty as fields of flowers bloom. Now, the region is set to benefit from green growth of a different, perennial kind: the Atlantis Special Economic Zone (SEZ) has opened for business—with a boom. Situated in the Atlantis industrial area north of Cape Town, the Atlantis SEZ is a dedicated hub for the manufacturing and provision of services in the green technology space. The emphasis is on fostering climate-resilient technologies such as wind turbines, solar panels, insulation, biofuels, electric vehicles, materials recycling and green building materials. Manufacturers, service providers, suppliers and other players in different green technology value chains are welcome. 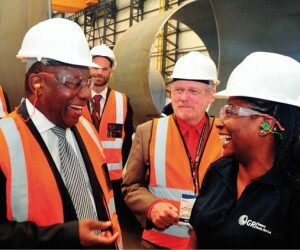 In 2015, the Western Cape Provincial Government prepared and submitted an application for the designation of the Atlantis Special Economic Zone. 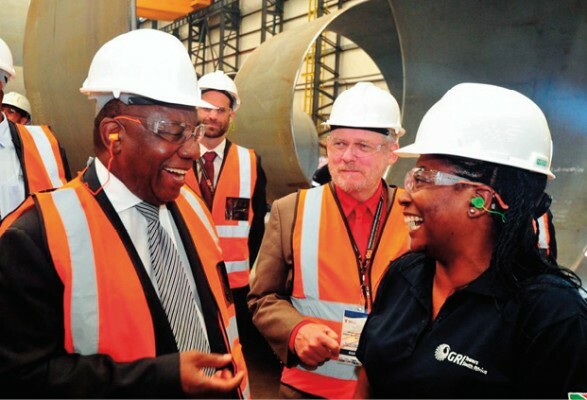 After thorough engagement and assessment, the South African Cabinet in June 2018 approved Department of Trade and Industry (dti) Minister Rob Davies’s decision to designate the Atlantis SEZ as South Africa's greentech SEZ. Western Cape Minister of Economic Opportunities, Beverley Schaefer, echoed these sentiments: “The SEZ programme in Atlantis has been successful due to strong collaboration between a range of local, regional, national and international organisations, authorities, and business organisations. The Atlantis SEZ is also collaborating with SA’s other SEZs and industrial development zones (IDZs). This collaboration and strong links between the three tiers of government, increase our country’s value proposition to foreign investors, and will help us tap into a global greentech market that will be worth US $6 500 billion by 2025." Following designation, the work will continue to set up the governance and operational structures of the SEZ. The Atlantis SEZ has already attracted R680 million in investment, creating 312 jobs. It is expected that the zone will attract a further R3.7 billion of investment by manufacturers of wind blades, smart meters, batteries, wind turbines, solar water heaters, solar PV, and by other players in the waste, agri-processing, water tech, gas and chemicals value chains. Nearly 3000 jobs are expected to be created by 2030 if these investments are realised. The Atlantis SEZ complements the Western Cape Government Green Economy Strategy Framework, and the City of Cape Town’s Atlantis 2023 strategy. It is expected to boost the local manufacturing sector, build investor confidence, create jobs and reduce poverty. So far, the Atlantis SEZ has already attracted R375 million from wind tower manufacturer Gestamp Renewable Industries. In addition, a geotextiles manufacturer has invested R130 million, and a double-glazed window manufacturer has invested R25 million. Energy: by 2035, the South African energy storage (battery) market is expected to reach R14.5 billion ($1.16 billion), the energy efficiency market R21 billion ($1.7 billion), and the rooftop PV market R75 billion ($6 billion) per year. Waste: R11.5 billion ($0.9 billion) per year in value could be unlocked by 2023 by diverting up to 20 million tonnes of additional waste from landfill. Agriculture: 15% growth is predicted in the use of controlled environment agriculture (which includes high tech solutions like hydroponics, and low tech solutions like net shading). The drone industry, a key component of precision agriculture, was worth R2 billion ($160 million) in 2017. Water: driven by the ongoing drought, the residential market for groundwater and rainwater systems in the Western Cape alone could be worth R5.8 billion ($400 million). Strong , growing South African and African greentech markets. The South African greentech manufacturing market is worth at least R30bn; with a growing greentech market in the neighbouring countries. SA has opportunities in energy, waste, agriculture, transport and other sectors and is a great entry point for the SADC market. A great, development-ready location. 93 hectares of zoned City of Cape Town land is available for leasing to investors. Bulk infrastructure is in place and Atlantis has new public transport and shipping links and fibre connectivity. Atlantis is also close to major ports, roads, universities and greentech markets. Extensive investment support. Investors have access to the One Stop Shop for investor support and the rest of the investor support ecosystem, which includes InvestSA, GreenCape, Invest Cape Town, and Wesgro. Together the ecosystem provides information and advocacy; market intelligence; facilitated access to permits and licenses, planning and development approval; and skills training. Attractive incentives. Investors and tenants will access tax relief and allowances, employment tax incentives, fast-tracked development approvals, fee exemptions and subsidies. An attractive, wide-ranging skills base to recruit from. There are five universities and many more colleges in the province, and a large range of unskilled, semi-skilled, technical and professional candidates.